What better place to enjoy the wind in the sails and the beauty of a sunset than from the deck of a sailboat on Bonaire? 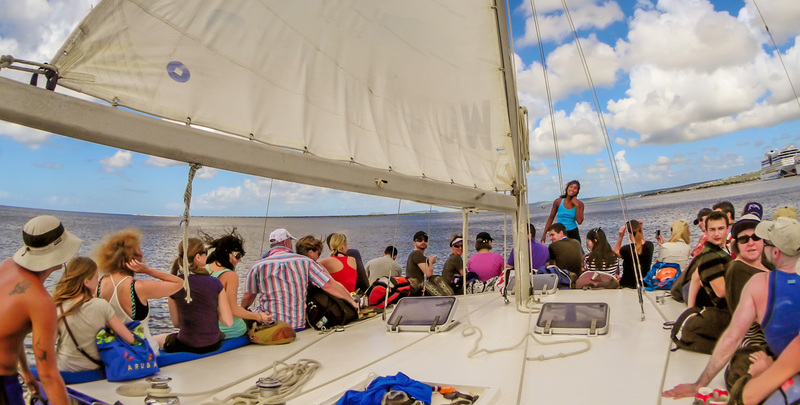 Complete that Caribbean vacation with a sail and snorkel, picnic at Klein Bonaire or a sunset or moonlit dinner cruise, just to name a few. Various sailing operators are available. Check with the Bonaire Marine Park for information about the Marine Park Guidelines & Nature Tag. Click here to read about a sailor who visited Bonaire on a sailing ship.